Millennials are rapidly redefining workplaces in the U.S. and around the globe. For those of us in the IT sector, what does it take to successfully manage and motivate this growing force? Why do business leaders focus so intently on millennials, that ubiquitous generation of workers who right now are between 22 and 40 years old? Their incredible buying power may be one reason, but their labor force strength certainly is another. 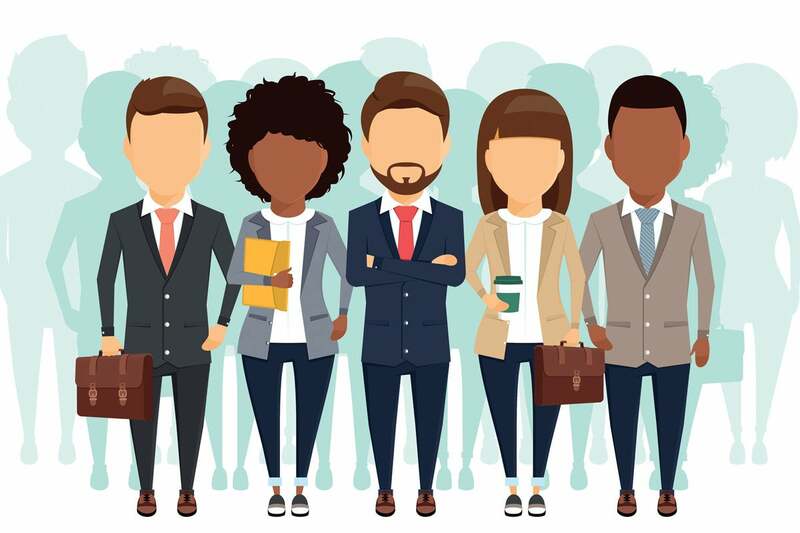 Since 2015, millennials have comprised the largest segment of the U.S. workforce, which, according to Pew Research, means that “more than one-in-three American workers is a millennial.” With that reach and size, millennials are rapidly redefining workplaces in the U.S. and around the globe. For those of us in the IT sector, where change is the norm, this growing millennial force could be a challenge or an opportunity. Which is it? To answer that question, along with a few more, I sat down with a technology leader who is in the thick of managing a global workforce rich in millennial talent. Richard Lord is the Global Head of Enterprise Applications at Publicis Groupe, the third largest marketing and communications company in the world. With tech teams on almost every continent, Lord has a uniquely global perspective on what it takes to successfully manage and motivate today’s millennial workforce. His ideas…they may surprise you. Q: Is managing millennial tech talent strikingly different than it has been with other generations? For a long time, it’s been my job to manage emerging generations of people within organizations and I have observed the differences up close. What I have seen change most is the nature of the unwritten contract between employers and employees, now very different from what it was for my generation or my parents’ generation. The old, unwritten contract said that if you had a good job at a solid company, a certain amount of predictability came with that job—a clear path to skill growth and job advancement, steadily increasing pay and a solid retirement. That contract, written or unwritten, is a rarity in the world today. For millennials, there are no longer clear or simple paths forward. Today’s millennials have to operate and manage their careers in an entirely different context. Their path forward rests with them. This is why I like to think that I am not as hard on millennials as other people might be. People like to say that millennials are a generation that is all “about me,” but employers have been inadvertently asking them to become “me focused” by taking a step back from career mapping and long-term employment. I believe that what millennials are asking for, from advancement to pay increases to training, are things that every generation has wanted and asked for. They may ask more quickly and with greater certainty perhaps, but that is because the virtue of the employment contract has changed. Where once loyalty was rewarded, millennials do not have the confidence that their loyalty to a company or job will be rewarded. Companies are facing tremendous disruption, which means they are more limited in what they can commit to employees. As a result, the nature of work has become more transactional on both sides. That to me is the big difference in terms of my mindset when I engage millennial talent. The open and frank discussions millennials are willing to have about their careers make sense when I keep this in mind. Q: Do you find millennials have unrealistic expectations? What I have found in many cases with a millennial-age employee asking for a promotion is that they do not have a clear idea of what a promotion means in terms of workload and responsibilities. The best way to explore the promotion opportunity with millennials is to ask a simple question: “Why do you think now is the right time for this promotion?” It’s a way for both employer and employee to sit back and think. Oftentimes, I learn that the employee is looking for the caché of a new title or higher remuneration but doesn’t have a clear understanding of the counterbalance. With greater responsibility and remuneration comes more work, more stress and higher expectations. Helping employees to understand that there is a balance of reward and responsibility as you move up is key. They might see that they are not ready, or they might make a brilliant case for why they are. Either way, I have found these conversations not only help younger workers understand what it takes to achieve a promotion, they also help lay the groundwork for success when promotions are awarded. Q: You work with companies around the world. What traits do millennials share from country to country and where do you see major divergences? I have teams in Hong Kong, China, Thailand, Malaysia, the Philippines, India, Spain, France, UK, Latin American, US, Canada and MEA. Because culture and societal conventions define these markets in unique ways, employees express their wants, needs or aspirations differently from one region to another. However, there is still the fact that employees the world over have access to the global media. I find that employee expectations are becoming increasingly common because information on opportunities, employers and job markets is widely available. More and more, I find that global influences, rather than local ones, are defining the employment dialogue. Q: What millennial traits or behaviors surprise you and your fellow managers and colleagues the most? A: Millennials tend to be more self-selecting. By that I mean is that they don’t always wait to be taught a skill or solve an issue. That’s true in their work and in their careers. Many millennials will identify the need and remediate it themselves rather wait for someone else to solve the problem. Sometimes that means pivoting career directions in order to find a different or better path. Or, it may mean jumping in to solve a customer challenge or pursuing a specific skill to get the job done. If you are a manager trying to manage millennials you need to be really aware of this dynamic quality. The best management advice I can give is to avoid dealing in absolutes. If you find talented younger people who aren’t in the right roles, it’s important to help them work to find something that’s a better fit. Millennials are willing to adapt and pivot, self-selecting opportunities and challenges to find the right place to grow. The byproduct of this self-selecting spirit is that millennials who have found where they want to invest their careers have genuine passion for their work. They are on the path they have chosen and that strengthens their commitment and performance, which is exactly what you want to see on the tech teams (or any teams) you lead. In my experience at Harvey Nash, we have also found this generation of workers an invaluable asset and welcome them on our teams. Not only are they creative and passionate, technology is already an integral part of their lives and many have instincts that are lacking in their older, more experienced counterparts. Particularly in the face of our skilled talent shortage, I encourage all of us to proactively recruit and make the cultural investment to nurture millennial talent.